The applicants who are willing to apply for CBSL Recruitment 2019 they should fill and submit the offline application form in the précised manner on or before 5th March 2019. Entire information such as eligibility criteria, selection process, salary package, apply process, last date, etc. are mentioned on this page. Contestant’s maximum age limits should be Below 30 Years (Post 1-3), 28 Years (Post 4), 25 Years (Post 5) As on 01-02-2019. Candidates who are meeting with the above detailed eligibility parameters they may apply by downloading the application through the official website www.canmoney.in and send it to following address on or before 5th March 2019. The applicants who are willing to apply for KMT Recruitment 2019 they should should attend walkin interview on 5th March 2019. Entire information such as eligibility criteria, selection process, salary package, apply process, last date, etc. are mentioned on this page. Qualification Details: Aspirants should have attained 4th (Heavy Driving License) from a recognized Board / University / Institute. Candidates who are meeting with the above detailed eligibility parameters must attend walkin interview on 5th March 2019. The applicants who are willing to apply for Mizoram PSC Recruitment 2019 they should fill and submit the offline application form in the précised manner on or before 20th March 2019. Entire information such as eligibility criteria, selection process, salary package, apply process, last date, etc. are mentioned on this page. Contenders belonging to the SC / ST / PWD (Persons with Disability) Category : Rs. 150/-. Candidates who are meeting with the above detailed eligibility parameters they may apply by downloading the application through the official website www.mpsc.mizoram.gov.in and send it to following address on or before 20th March 2019. Application Has To Be Sent Latest By : 20-03-2019. The applicants who are willing to apply for NCRTC Recruitment 2019 they should fill and submit the offline application form in the précised manner on or before Within 15 Days. Entire information such as eligibility criteria, selection process, salary package, apply process, last date, etc. are mentioned on this page. Qualification Details: Aspirants should have attained Diploma / BE / B.Tech. / Engineering Degree / Graduation Degree / PG Diploma from a recognized Board / University / Institute. Candidates who are applying should be between 45 to 50 Years (Post 3,4,14,16,17), 35 to 40 Years (Post 18,19,20) As on 01-03-2019. Contestant’s maximum age limits should be 55 Years (Post 1,2), 40 Years (Post 5,13), 35 Years (Post 6), 30 Years (Post 7,8), 35 Years (Post 9), 55 Years (Post 10,11), 50 Years (Post 12,15) As on 01-03-2019. Candidates who are meeting with the above detailed eligibility parameters they may apply by downloading the application through the official website www.ncrtc.in and send it to following address on or before Within 15 Days. The applicants who are willing to apply for VCBL Recruitment 2019 they should fill and submit the online application form in the précised manner on or before 4th March 2019. Entire information such as eligibility criteria, selection process, salary package, apply process, last date, etc. are mentioned on this page. A non-refundable application fee of Rs. 700/-is needed to be paid by All Category Candidates. Candidates who are applying should be between 20 to 30 Years As on 01-01-2019. Candidates who are meeting with the above detailed eligibility parameters they may apply online for the application through the official website www.vcbl.in on or before 4th March 2019. Dead Line of Online Application Is : 04-03-2019. The applicants who are willing to apply for District Court Bangalore Recruitment 2019 they should fill and submit the online application form in the précised manner on or before 14th March 2019. Entire information such as eligibility criteria, selection process, salary package, apply process, last date, etc. are mentioned on this page. A non-refundable application fee of Rs. 200/-is needed to be paid by All Other Category Candidates. Contenders belonging to the Cat -I / SC / ST / PWD (Persons with Disability) Category : Rs. /-. Candidates who are applying should be between 18 to 35 Years As on 14-03-2019. 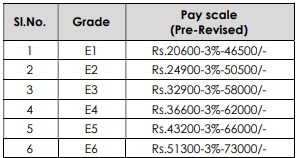 Candidates who are meeting with the above detailed eligibility parameters they may apply online for the application through the official website www.districts.ecourts.gov.in on or before 14th March 2019. The applicants who are willing to apply for IDA Recruitment 2019 they should should attend walkin interview on 5th March 2019. Entire information such as eligibility criteria, selection process, salary package, apply process, last date, etc. are mentioned on this page. Qualification Details: Aspirants should have attained B.Tech. / B.E. / Diploma (Engineering) from a recognized Board / University / Institute. Walk in Interview Held On : 05-03-2019. The applicants who are willing to apply for SMC Recruitment 2019 they should should attend walkin interview on 5th March 2019. Entire information such as eligibility criteria, selection process, salary package, apply process, last date, etc. are mentioned on this page. Qualification Details: Aspirants should have attained Bachelor Degree / Engineering Degree / Graduation Degree / M.Com. / Chartered Accountant from a recognized Board / University / Institute. Contestant’s maximum age limits should be Below 35 Years (Post 1,2,4,5), 45 Years (Post 3). Last Date to Attend Interview : 05-03-2019. The applicants who are willing to apply for DMRC Recruitment 2019 they should should attend walkin interview on 5th & 7th March 2019. Entire information such as eligibility criteria, selection process, salary package, apply process, last date, etc. are mentioned on this page. Contestant’s maximum age limits should be Below 30 Years (Post 1,2,4,5), 28 Years (Post 3,6). Candidates who are meeting with the above detailed eligibility parameters must attend walkin interview on 5th & 7th March 2019. Date of Interview : 05-03-2019 & 07-03-2019. The applicants who are willing to apply for Zila Panchayat Korba Recruitment 2019 they should fill and submit the offline application form in the précised manner on or before 28th February 2019. Entire information such as eligibility criteria, selection process, salary package, apply process, last date, etc. are mentioned on this page. Qualification Details: Aspirants should have attained 12th / Diploma / BE / B.Tech. / MBA / MSW from a recognized Board / University / Institute. The organization shall conduct the Merit List & Skill Test for the assortment of the applicants. Candidates who are meeting with the above detailed eligibility parameters they may apply by downloading the application through the official website www.korba.gov.in and send it to following address on or before 28th February 2019. The applicants who are willing to apply for Cantonment Board Jabalpur Recruitment 2019 they should fill and submit the online application form in the précised manner on or before 14th March 2019. Entire information such as eligibility criteria, selection process, salary package, apply process, last date, etc. are mentioned on this page. Qualification Details: Aspirants should have attained 8th / 10th / 12th / ITI / B.Ed. / B.T.C. / D.Ed. / D.S.E. from a recognized Board / University / Institute. A non-refundable application fee of Rs. 200/- (Post 1,2), 100/- (Post 3-6) is needed to be paid by General / OBC Category Candidates. Contestant’s maximum age limits should be Below 25 Years As on 14-03-2019. Candidates who are meeting with the above detailed eligibility parameters they may apply online for the application through the official website www.canttboardjabalpur.org.in on or before 14th March 2019. Starting Date of Online Application Form Filling Is : 23-02-2019. Closing Date of Online Submission of Applications Form Is : 14-03-2019. The applicants who are willing to apply for APSWREIS Recruitment 2019 they should fill and submit the online application form in the précised manner on or before 28th February 2019. Entire information such as eligibility criteria, selection process, salary package, apply process, last date, etc. are mentioned on this page. Qualification Details: Aspirants should have attained Graduation Degree / Post Graduate Degree / B.Ed. from a recognized Board / University / Institute. Candidates who are applying should be between 18 to 44 Years As on 01-01-2019. The organization shall conduct the Computer Based Online Test & English Language Proficiency Test for the assortment of the applicants. Candidates who are meeting with the above detailed eligibility parameters they may apply online for the application through the official website www.welfarerecruitments.apcfss.in on or before 28th February 2019. The applicants who are willing to apply for MAHUD Recruitment 2019 they should fill and submit the offline application form in the précised manner on or before 23rd February 2019. Entire information such as eligibility criteria, selection process, salary package, apply process, last date, etc. are mentioned on this page. Qualification Details: Aspirants should have attained 10th / 12th / ITI / Diploma (Architecture / Engineering) / Graduation Degree / Sanitary Inspector / Engineering Degree / PGDCA from a recognized Board / University / Institute. Contenders belonging to the SC / ST / PWD (Persons with Disability) Category : Rs. 400/-. Contestant’s maximum age limits should be Below 38 Years (for all other post), 30 Years (for Revenue Office Post). The organization shall conduct the Written Exam & Viva Voce for the assortment of the applicants. Candidates who are meeting with the above detailed eligibility parameters they may apply by downloading the application through the official website www.manipur.gov.in and send it to following address on or before 23rd February 2019. Closing Date for Forwarding Filled Application Forms : 23-02-2019. Candidates who are applying should be between 18 to 38 Years (Post 1), 21 to 38 Years (Post 2). The organization shall conduct the Written Exam, Computer Practical / Driving Test & Personal Interview / Viva Voce for the assortment of the applicants. The applicants who are willing to apply for TNRD Recruitment 2019 they should fill and submit the offline application form in the précised manner on or before 8th March 2019. Entire information such as eligibility criteria, selection process, salary package, apply process, last date, etc. are mentioned on this page. The organization shall conduct the Written Exam / Personal Interview / Document Verification for the assortment of the applicants. Candidates who are meeting with the above detailed eligibility parameters they may apply by downloading the application through the official website www.tnrd.gov.in and send it to following address on or before 8th March 2019. The applicants who are willing to apply for JIPMER Recruitment 2019 they should fill and submit the online application form in the précised manner on or before 25th February 2019. Entire information such as eligibility criteria, selection process, salary package, apply process, last date, etc. are mentioned on this page. Qualification Details: Aspirants should have attained 10th / 12th / Graduation Degree / Post Graduation Degree / PG Diploma from a recognized Board / University / Institute. Candidates who are applying should be between 18 to 35 Years (Post 1-4), 18 to 27 Years (Post 5,6) As on 13-02-2019. The organization shall conduct the Computer Based Test, Skill Test & Personal Interview for the assortment of the applicants. Candidates who are meeting with the above detailed eligibility parameters they may apply online for the application through the official website www.jipmer.edu.in on or before 25th February 2019. Online Registration of Application Form Is Starts From : 14-01-2019. The applicants who are willing to apply for DPHFW Recruitment 2019 they should fill and submit the offline application form in the précised manner on or before 5th March 2019. Entire information such as eligibility criteria, selection process, salary package, apply process, last date, etc. are mentioned on this page. Qualification Details: Aspirants should have attained General Nursing and Midwifery from a recognized Board / University / Institute. Contenders belonging to the SC / ST / BC / PWD (Persons with Disability) Category : Nil. 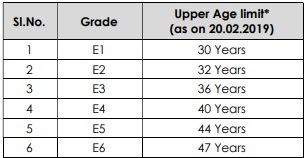 Contestant’s maximum age limits should be Below 40 Years As on 30-06-2019. Candidates who are meeting with the above detailed eligibility parameters they may apply by downloading the application through the official website www.cfw.ap.nic.in and send it to following address on or before 5th March 2019. Closing Date of Offline Submission of Applications Is : 05-03-2019. The applicants who are willing to apply for Collectorate Malkangiri Recruitment 2019 they should fill and submit the offline application form in the précised manner on or before 28th February 2019. Entire information such as eligibility criteria, selection process, salary package, apply process, last date, etc. are mentioned on this page. Contestant’s maximum age limits should be Below 35 Years As on 01-01-2019. Candidates who are meeting with the above detailed eligibility parameters they may apply by downloading the application through the official website www.malkangiri.nic.in and send it to following address on or before 28th February 2019.